Episode 32 - Happy Birthday, Brother! Episode 66 - I Ain't Afraid Of No Ghost, Brother! Episode 65 - Spooky, Brother! Episode 64 - Heck In A Blech, Brother! 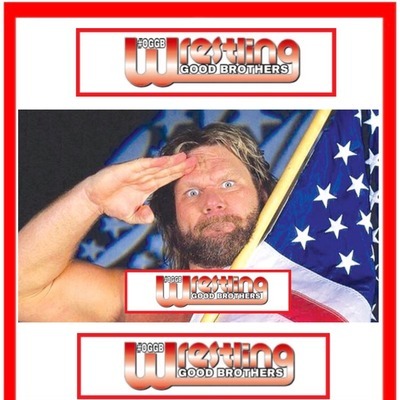 Episode 63 - PWI 500, Brother! Reaction from a huge wrestling weekend - Lesnar! Reigns! Strowman! Rousey! Joe! Ciampa! Episode 62 - All In vs. Summerslam, Brother! Episode 61 - Crotched, Brother! Episode 60 - Summerslam & Evolution, Brother! Episode 59 - He's Back, Brother! Brock Lesnar goes BACK to UFC! Hulk Hogan is BACK in #WWE! Ultimate Warrior is apparently BACK from Parts Unknown! ROH and NJPW get BACK together at MSG! All this, plus #ExtremeRules talk and more! Episode 58 - A Real American, Brother! Episode 57 - Mid-Year Report Card, Brother! Episode 56 - Wrestling Figure Memories, Brother! 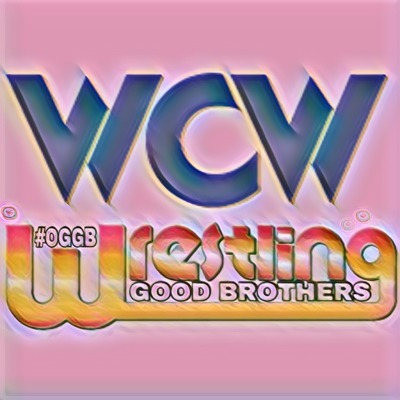 Episode 55 - WCW Memories, Brother! Episode 54 - If It Makes You Happy, Brother! With #WWEBacklash over and so widely hated in the wrestling fan community, the brothers discuss what WOULD make the haters turn around and be happy. Is it better storylines, a new champion, less Roman Reigns, more Daniel Bryan? All that, plus are dinosaurs a lie propagated by Hollywood? Episode 53 - Saudi Arabia, Brother? Episode 52 - What's Shaking, Brother? #OriginalGoodBrothers are back to talk all of the big moves to #Raw, #SDLive and #WWENXT in the #WWE Superstar Shakeup. Who were the big losers and winners? Where do we go from here? All that and more on the latest episode! The Brothers give their take on #Wrestlemania 34, #NXTTakeover New Orleans & #ROH Supercard of Honor XII, including the polarizing main event, AJ/Nakamura, Asuka's streak, Ronda Rousey's big debut, the Undisputed Era, the MATCH OF THE WEEKEND, ROH's new style, Cody, Dalton Castle, HonorClub problems and More! Episode 51 - Wrestlemania 34 IS HERE, Brother! Episode 50 - Wrestlemania Saturday, Brother! Episode 49 - Wrestlemania Playlist, Brother! Giving you a peek at the official Good Brothers #Wrestlemania playlist! A bootleg Roman Reigns rap, a metal "Medal", AJ Styles, Nakamura, reDRagon, NO MAN IS EVER TRULY GOOD, Somebody's Gonna Get It, Kevin STEEN, and more! Brothers React: Daniel Bryan CLEARED By WWE! Reaction to the news that Daniel Bryan has been medically cleared to return to the ring after 3 years! Episode 48 - Top 5 Wrestlemania Matches, Brother! Counting down our Top 5 #Wrestlemania matches of all-time! Hulk, Stone Cold, Taker, Rock and more! Episode 47: The System Is Broken, Brother! Is NXT killing wrestling? Previewing ROH 16th Anniversary and #WWEFastlane turns into a tirade on why it may be. Episode 46 - Are You Excited For Wrestlemania, Brother? Get our quick take on the #WWEChamber PPV, including the 2 big Elimination Chamber matches, Asuka's streak, Ronda Rousey's debut and what it all means for #Wrestlemania! The brothers react to an indie show, Awesome Wrestling Entertainment presents Night of the Horsemen live from Waynesboro, VA. Ric Flair and the Horsemen, The Barbarian, Simon Gotch and the Misfits, Teddy Long, Match of the Year?, Pizza, Midgets, Rebel Flags and more! Episode 45 - A Chamber of Secrets, Brother! Talking the upcoming WWE Elimination Chamber PPV, plus an AWE indie show we're hitting up this weekend, plus NO discussion of Harry Potter. Episode 44 - Running The Road Metaphor Into The Ground, Brother! We look ahead at the road to Wrestlemania. Who will hit a speed bump? Who will be pulled over? So will take a wrong turn? Who will stop for a snack? We drive the metaphor right into the ground, plus complain about WWE valentines! Episode 43 - Royal Rumblings, Brother! Talking the 2018 #WWE #RoyalRumble, insane Takeover matches, Ronda Rousey and how Wrestlemania is shaping up in its early stages. Episode 42 - On The Road Again, Brother! Episode 41 - Monday Night Memories, Brother! DreamCard returns! An underdog gets his shot, Tag Team turmoil, a rematch of the greatest Rumble match in history, plus a Rumble match full of more surprises than ever! 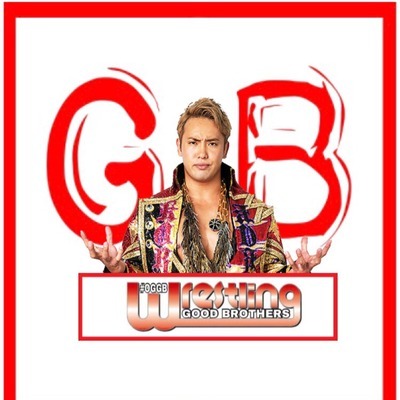 Episode 39 - Wrestle Kingdom Come, Brother! 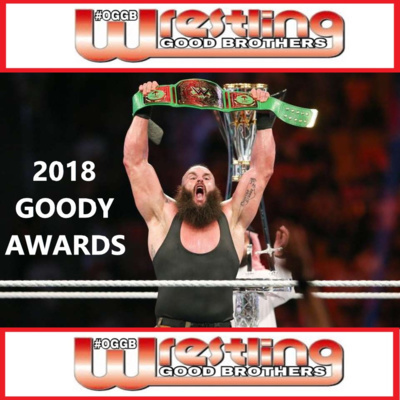 The 1st Annual Goody Awards! We wrap up 2017 by handing out Goody Awards! Who was the Wrestler of 2017? Best match? Best show? Plus, bold predictions for 2018 and more! Episode 37 - The Force Is With Us, Brother! Good Brothers give their instant reaction to this weekend’s Survivor Series and Takeover shows. What did you think? 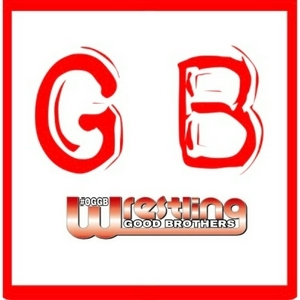 Tell us @GoodBrothersWP on Twitter! Episode 35 - Who Will Survive, Brother? Huge preview for this weekend’s #SurvivorSeries and Takeover: WarGames. Could this be the best show of the year??? Episode 34 - Should We Go Indy, Brother? Episode 33 - Rankings Are In, Brother! We rank WWE’s Top 10 and discuss who looks Wrestlemania main event bound right now! Episode 31 - Another PPV, Brother? The first ever DreamCard! The brothers fantasy book the ultimate horror-themed PPV! The Wyatts, Raven, Papa Shango, Spiked Dog Collars and more! Episode 29 - WTH In A Cell, Brother? Episode 28 - Death Before Mercy, Brother! Previewing ROH Death Before Dishonor AND WWE No Mercy. What will be the match of the weekend? Who will walk out champion? Episode 27 - Some Kinda Love, Some Kinda Hate, Brother! We're looking at things we love and hate in wrestling today. Mae Young Classic, The Undisputed, Roman Reigns, Raw - where do they stand? Episode 26 - The Big Fall Preview, Brother! We gaze into wrestling's future to predict Survivor Series, the next WWE champ, Takeover: Houston, GFW's fate and more, plus the debut of the Mountaineer Minute! Episode 25 - They Chanted 500, Brother! Who are the Top 10 wrestlers in the world? 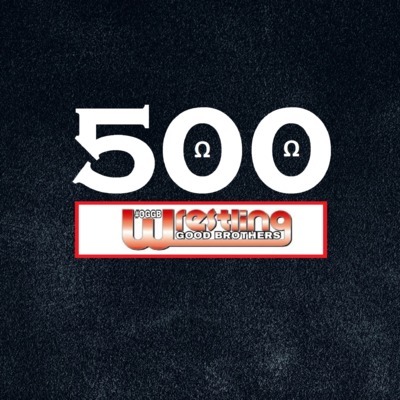 Breaking down this year's PWI 500. Who made the list? Episode 24 - Summerslam Musings, Brother! Talking the good and bad of Summerslam weekend, our final analysis on Nakamura, was Takeover the best show of the year and more! Episode 23 - Summerslam Preview, Brother! The brothers breakdown all of Summerslam, plus Takeover and War of the Worlds UK talk and the whole SS food spread. Episode 22 - Who's Hot, Brother? We pull out the old rectal thermometer and take the temperature of wrestling topics like Randy Orton, ROH, NXT, Young Bucks, Brock and more! Episode 21 - Summer, Summer, Summertime, Brother! Talking Summerslam and our favorite summer wrestling memories, plus what was up with PN News? Episode 20 - Love Is A Battleground, Brother! We're talking Battleground, who is the future of wrestling, bottled water and more! Episode 19 - We've Got Questions, Brother! The brothers return and they've got questions about Roman Reigns finally being over, the G1 in USA/JR controversy, Weenie Do and more! Episode 18 - Women And Big Ballers, Brother! Talking the women's revolution, the value of celebrity guests, Cody's ROH title win and more! Episode 17 - Best In The World, Brother! The brothers are back with Jinder Mahal thought, MITB review, the Enzo & Cass breakup and an ROH BITW rundown! Episode 16 - EXTREME Fallout, Brother! 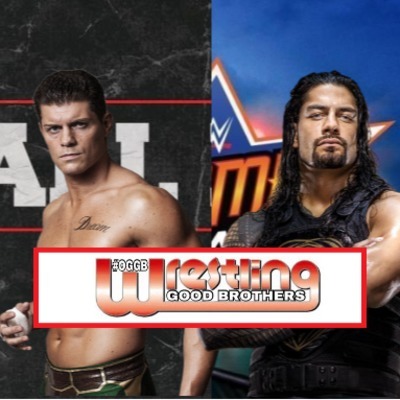 The brothers are back with all the fallout from Extreme Rules as well as a look at how ROH Best In The World is shaping up. Episode 15 - I Coulda Been A Contender, Brother! Discussing the top contenders on Raw and Smackdown, Jinder Mahal as champ, NXT Takeover and more! Episode 14 - It's A Huge Wrestling Weekend, Brother! Episode 13 - Is NXT Back, Brother? Talking making NXT great again, the in-ring "WWE style", ROH War of the Worlds Preview and more! Episode 12 - Payback Fallout, Brother! Discussing Payback, the week in WWE plus Adam Cole and NWA rumors! Episode 11 - Payback is a B, Brother! Payback Preview! Plus, Braun Strowman love, Raw talk, a brief history of Payback and more! Episode 10 - It's A House Of Horrors, Brother! Talking Jinder Mahal, the House of Horrors match, WWE women stepping up and more! Episode 9 - We're All Shook Up, Brother! Talking the WWE's Superstar Shakeup as well as the totally real Strowman attack on Raw. Episode 8 - Non-Traditional Fans, Brother! Talking the post-Wrestlemania superstar debuts, the "superstar shakeup" and Cory Graves' knife in our hearts. Episode 7 - Wrestlemania Weekend Is Over, Brother! Talking all about Wrestlemania, Takeover: Orlando, Supercard of Honor and the greatness that is Mania weekend! Episode 6 - Wrestlemania 33 PARTY EDITION, Brother! We talk about how to party for Wrestlemania, including a full food rundown, Takeover and plenty more! Episode 5 - Wrestlemania 33 Preview, Brother! A full preview of all the sanctioned Wrestlemania 33 matches, including predictions and excitement levels! Episode 4 - A Greenlight On The Road To Wrestlemania, Brother! Talking Raw and Smackdown Live as Wrestlemania 33 is less than 2 weeks away! 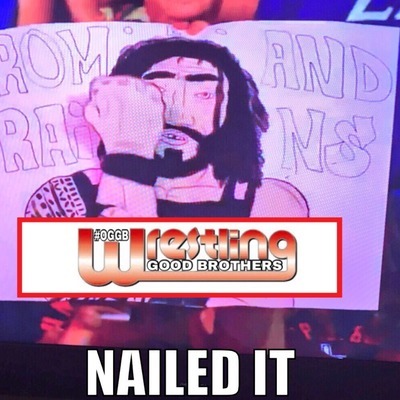 Episode 3 - Hot Endings For Raw and ROH, Brother! The brothers discuss the ROH 15th Anniversary PPV and last night's Raw, including The Fallen Angel's big title win and the return of Seth Rollins. Episode 2 - ROH Is 15 Years Old, Brother! The brothers talk Ring of Honor and the big 15th Anniversary PPV. Episode 1 - Wrestlemania 33 Is Shaping Up, Brother!